Enmoladas are Chicken Mole Enchiladas. 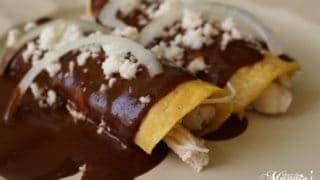 Fried tortillas stuffed with chicken and covered with mole sauce. Savory and sweet. Delicious and flavorful. This Mexican recipe is a great way to use up leftovers. I take the help where I can, and that means a family favorite Dona Mara Mole Sauce . It’s not just my family. Every Mexican knows this brand. As if Mexican moms united once upon a time and named this it the official Mexican mole brand. 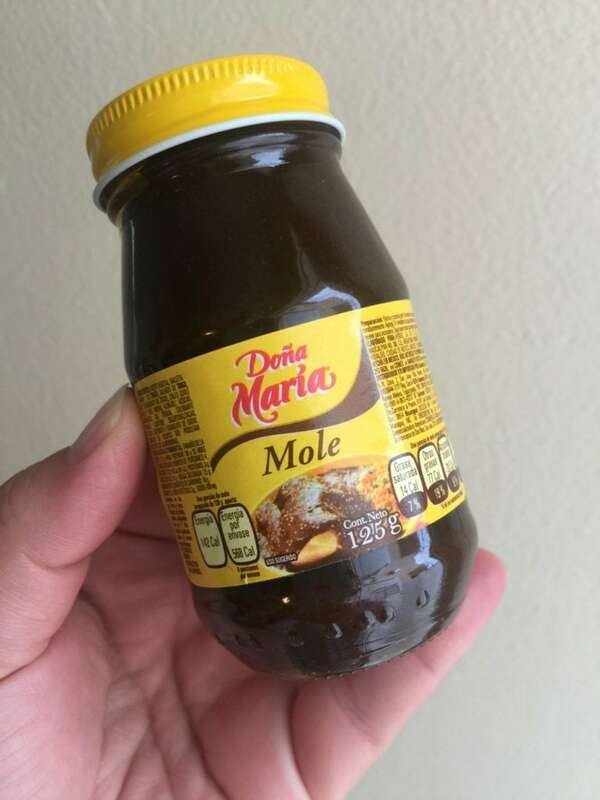 I must admit that even when I make my own mole, it still doesn’t taste as good as Dona Maria’s Mole Sauce. Here, this is a paste. Some places will sell the sauce ready to serve. There’s no stirring or adding chocolate. Just pour. If you can find that, you can skip over the next part and go straight to the frying. However, I don’t think it tastes as good as when I add my own chicken broth and my Abuelita chocolate. Don’t hate. I like Ibarra too. The process is simple. Very, very simple. To a stock pot, I add the mole paste and store-bought chicken broth , or if you have time, this is my recipe for homemade chicken broth. My mother and other Mexican home cooks usually have chicken bouillon on hand. If you don’t have any chicken broth, you can use water and chicken bouillon instead. Vegetable broth is also acceptable. You want something with flavor. I would not use water by itself. It will taste good because this mole paste is delicious, but it will lack some depth in flavor. Let it simmer, stirring frequently to “melt” the mole. 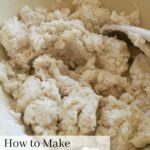 The paste will absorb the broth. 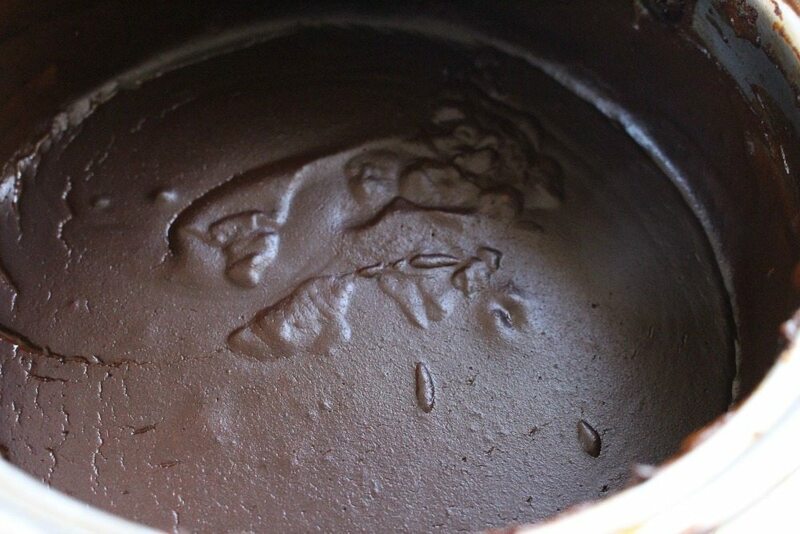 Then at the very end, add the chocolate. I grew up on Abuelita chocolate . It is my favorite. Some people swear by Ibarra . For those of you who don’t know, there is a serious debate in the Mexican community which is better: Abuelita or Ibarra? Both are very similar. Both are equally good. Ibarra is made in Mexico though. 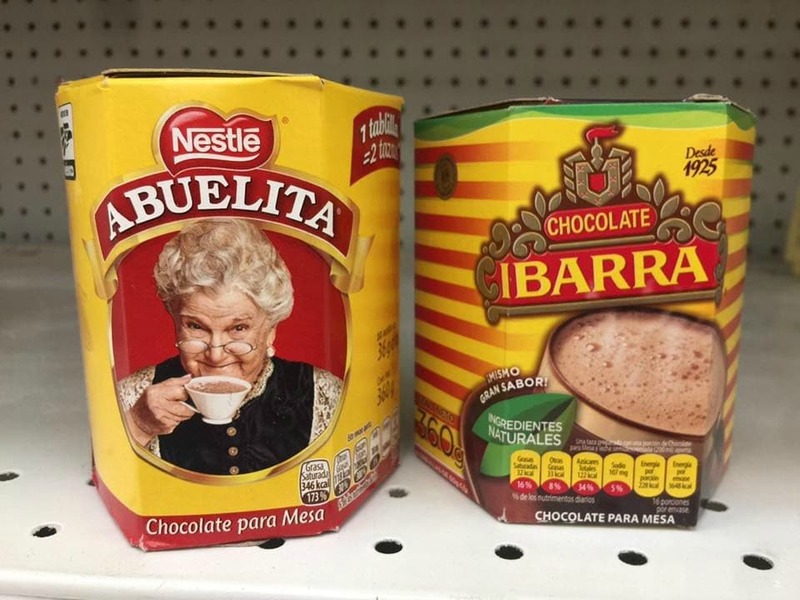 Abuelita is produced by Nestle. You guys have to try Mexican chocolate from Tabasco in Southern Mexico. I used to live there once upon a time. There’s a place called La Ruta del Cacao. The chocolate is insane. People growing chocolate in their backyard. I’m NOT kidding you. Cacao trees as far as the eye can see… A true chocolate paradise! Set the mole aside until ready to use. This is a shallow fry. We’re not deep frying these to make them hard. 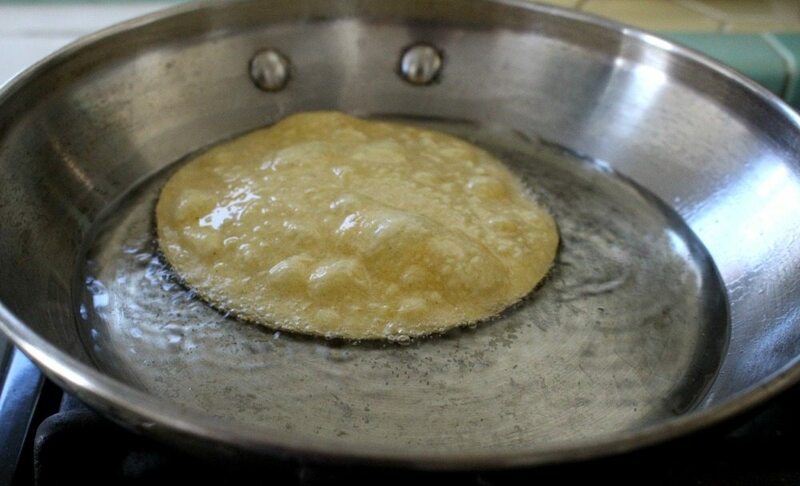 Vegetable oil is probably the best oil to fry. It’s cheap and has a good smoking point. Frying in olive oil is crazy expensive, but it can be done. Since we’re only frying for 1 minute on each side, you can even use olive oil. We’re not using a ton of oil. So, it won’t break the bank. Drain any excess oil on a several paper towels. Well, you don’t really have to fry them. 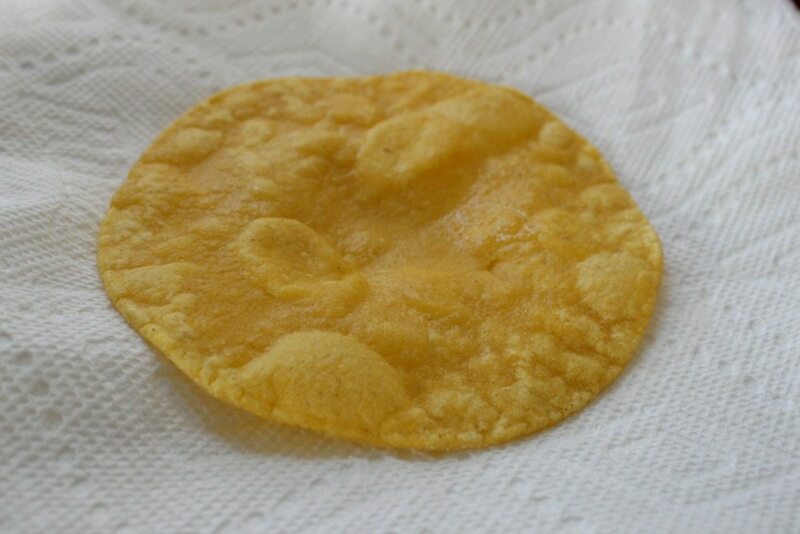 In fact, you can stick the corn tortillas in the microwave and warm them up for a 1 minute or until they are pliable. You save the calories. Your heart is happy. All you really need is for them to roll up. That said.. back home in Mexico lindo, there are little grandmas frying away because that’s the way it has always been done. And who can argue against tradition? I’m using leftover chicken, but think Thanksgiving. 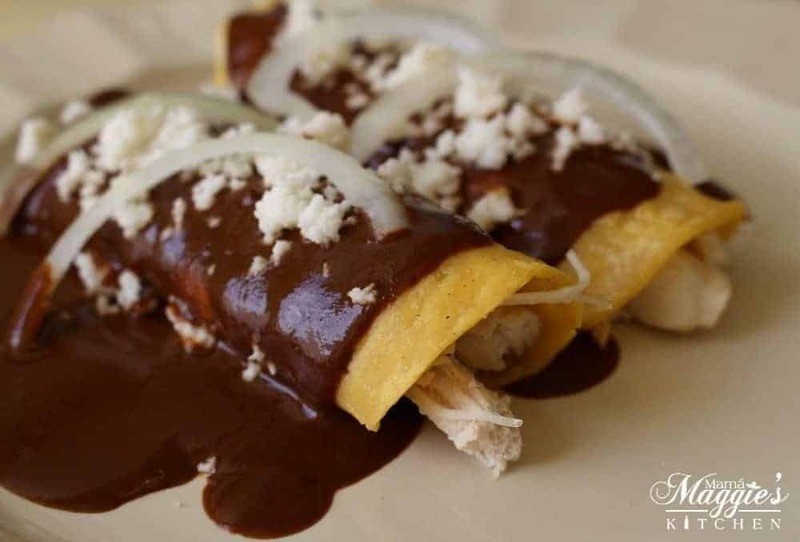 You can make these Enmoladas, or Chicken Mole Enchiladas, instead with leftover turkey. So yummy! You can use any part of the chicken. Meat is meat. In Mexico, there is no waste. You will find people use every part of the chicken. Yes, even the chicken feet. One of my other favorite leftover chicken recipes is Ensalada de Pollo (Creamy Mexican Chicken Salad). Or, you can also make a Mexican Chicken Soup (Caldo de Pollo). 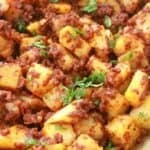 You can very easily make this recipe using ground beef and pork too. I’ve even heard of people getting fancy and making it with duck. Hey, if it’s in your budget, go for it! 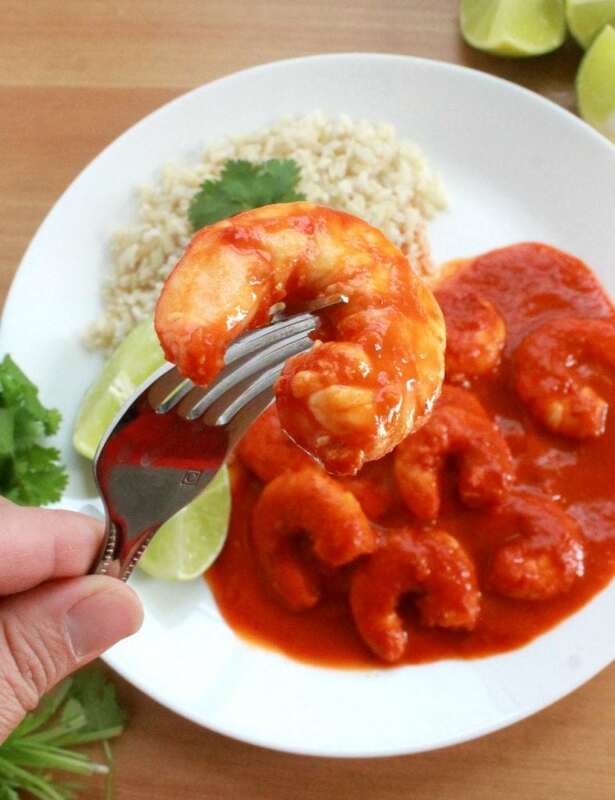 You can also make these with a tomato sauce instead of mole sauce. In that case, you’d be making Entomatadas de Pollo (or Chicken Entomatadas). They’re soooo good! Dip the tortilla in the mole sauce, then stuff with chicken, and roll. I find this method very messy. Stuff the tortilla with chicken, then roll, cover with mole sauce, then top with slices of onion and queso fresco. Watch VIDEO for this process. Dona Maria Mole Enchiladas come together very quickly. I would serve them with extra sauce on the side. Everyone will want more sauce. If there’s a vegetarian in the group, make the Dona Maria Mole Enchiladas without chicken and only cheese, or substitute with one of the vegetarian cheeses. Remember you’re dealing with chocolate. 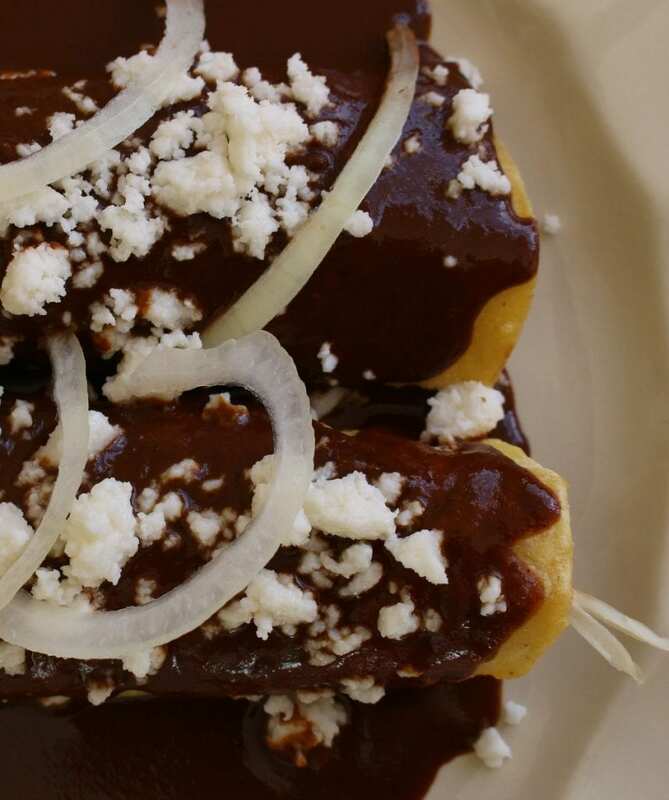 So, you have to work quickly to make your Enmoladas, or Chicken Mole Enchiladas. If the mole thickens up, add more chicken broth. I highly recommend making these Chicken Mole Enchiladas Dona Maria. I know, I know… you want to make your own mole. My friends, it involves a lot of ingredients, frying in lard. 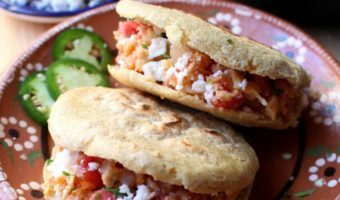 This Enmoladas Recipe is meant to be easy. 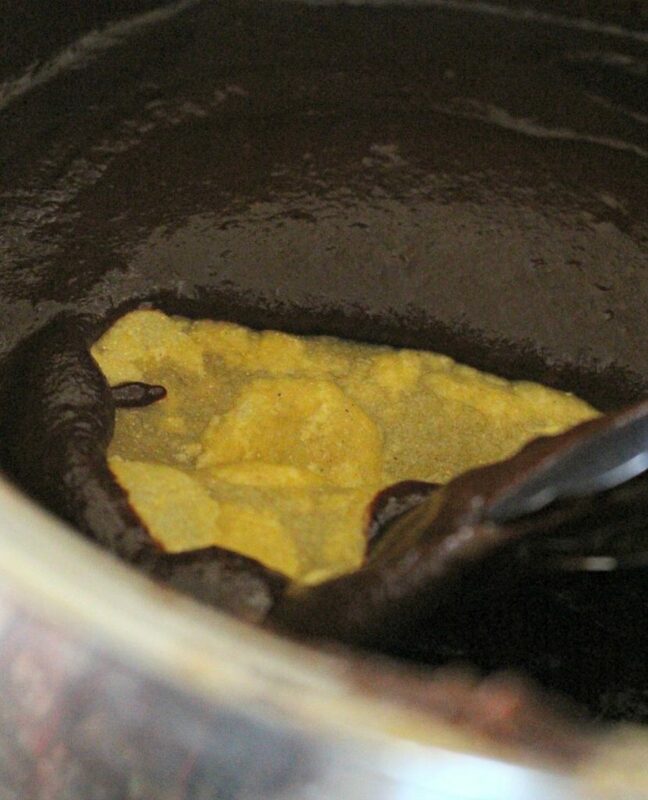 In a large stock pot, add the mole paste. Add 3½ cups of chicken broth. The paste will begin to absorb the liquid. Bring to a simmer for 20 minutes. In the meantime, heat oil in a skillet. Add each tortilla individually to the hot oil. Fry 1-2 minutes on each side. Place on a paper towel to drain any excess oil. If it’s too thick, add the remaining chicken broth to the mole. Stir and bring the mole back up to a simmer. 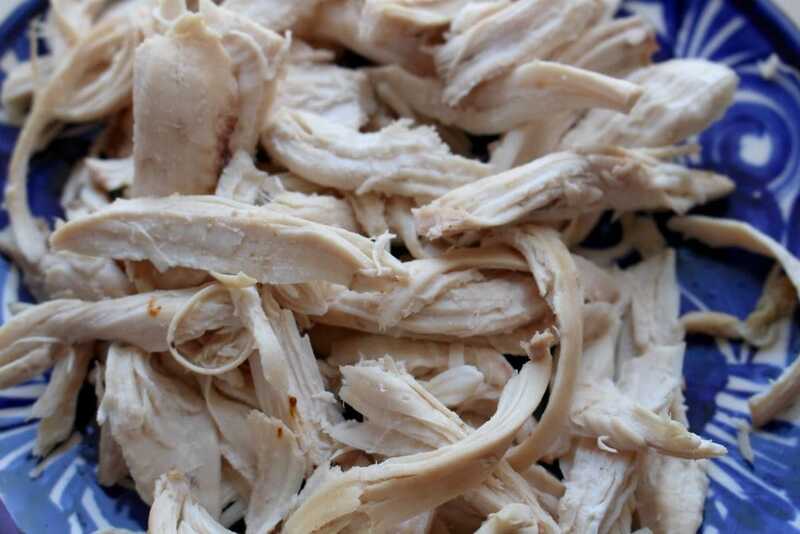 Heat up the leftover chicken in the microwave. Add a fried tortilla to the serving plate. 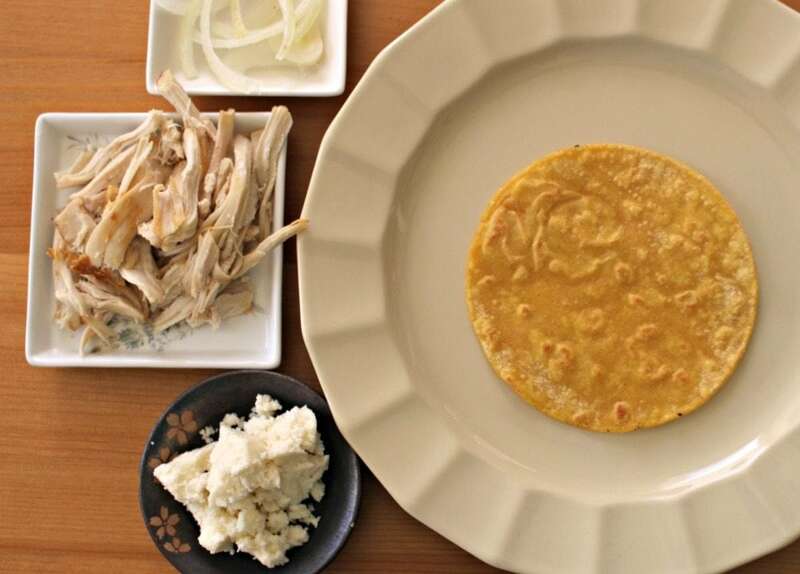 Add chicken to the center of the tortilla. Roll up to form your enchilada. With a ladle, pour mole sauce over the enchiladas. Top with queso fresco and slices of onion. The mole sauce will thicken up if it's sitting out too long. Thin it out with chicken broth, if needed. I would love to try these. You talk about adding the chocolate at the very end, but there is no chocolate shown in the ingredients or the instructions. Did I miss something? Thanks for catching. My recipe card did not update the change. It’s ok now! Thanks! It may be awhile, but I know I will. I love mole and Dona Maria’s makes it easy. Yes. The package with the grandmother is a well known Mexican chocolate sold in US. It comes in circular chunks. Mole is something with which I have never experimented. Great idea to use it with enchiladas. These look so delicious! 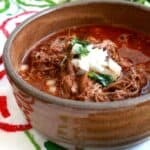 I make it in a very similar way except I boil a whole chicken with 5 garlic cloves, half peeled onion, salt, shred it and save the amazing broth to make mole sauce. Can’t compare can broth to this. I love recipes that are inspired from your childhood or family!! 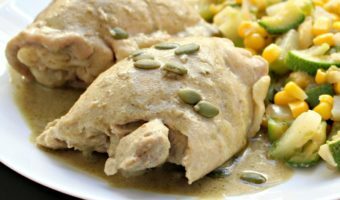 Loving the flavors of this Chicken Mole Enchilada recipe!! How long will this sauce stay fresh in the refrigerator? About 5 days to a week. Team Ibarra here! It’s what we grew up on, so nothing quite tastes the same. Love this quick way to make mole! thanks for sharing! I know what you mean. My grandma used to a mole from scratch. Delicious, but it wasn’t Dona Maria. 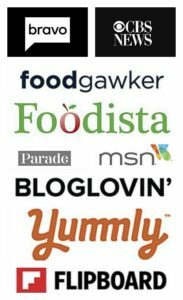 You get used tastes and flavors.